The team focuses on experimental and theoretical researches to develop the scientific and technical abilities for the realization of quantum networks, with applications to the distribution and processing of quantum information. These works include the development of light-matter interfaces for quantum data storage, the generation, characterization and manipulation of various non-classical states of light, and the implementation of networking protocols using these resources. This research involves fundamental and more applied studies in quantum optics, light-matter interaction, non-linear optics, photon detection and nanophotonics. Interested in quantum optics and quantum information ? We are always happy to welcome motivated undergraduates, PhD students and Postdocs. Contact Prof. Laurat for openings.We are part of PCQC, the Paris Center for Quantum Computing, and member of the DIM NanoK Ile-de-France . The team has recently managed to store light that propagates in an optical fiber and to release it later on demand. By causing interaction between the traveling light and a few thousand atoms in the vicinity, we demonstrated an all-fibered memory. At the core of the device is a fiber with a short section elongated to 400 nm in diameter where the light can efficiently interact with a cloud of laser-cooled atoms. Using the so-called electromagnetically induced transparency technique, well-known in free space but combined for the first time with a fiber, we slowed down the light by 3000-fold and then halted it completely. 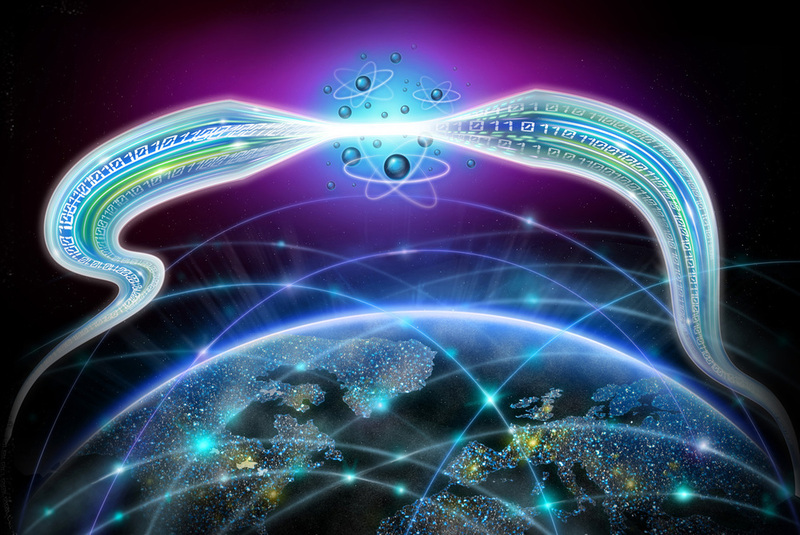 Later, the light was released into the fiber, reconstituting the initial encoded information that can once again travel. All that at the single photon level with a signal to noise ratio above 20 !This work was published in Physical Review Letters and selected as PRL Editors suggestions. Covered also by APS-Physics and PhysicsWorld. Dr. Huang. Now working with atoms! July 15, 2015 – Julien Laurat has been invited to give a talk at PQE 2016 about hybrid quantum information. Summer 2015 – Julien is at IQIM - Caltech for 3 months!Back with Jeff!